It’s World Gin Day, and what better excuse do you need to combine two of the best things in life: gin and cake. 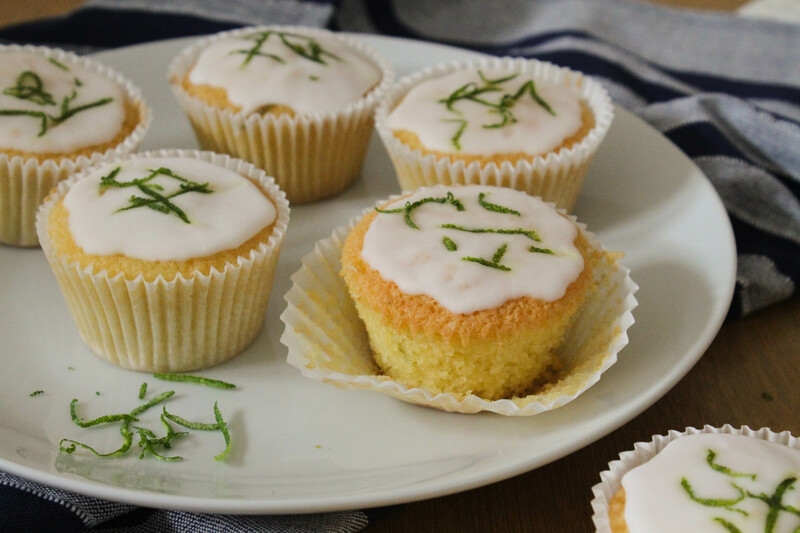 These delicate little cakes are packed with flavour – and a fair bit of booze, too! As with my Earl Grey Cupcakes with Lemon Marscapone Buttercream, the decoration is simplistic: designed to complement the flavour of the sponge rather than over-shadow it. The gin glaze lends a sweetness, which is balanced by the curls of zesty lime. I made these to take to a party where people had dietary requirements, so when I made them they were gluten- and dairy-free, using gluten-free self-raising flour, almond milk and dairy-free butter. So if you have any of those requirements yourself, rest assured that these cakes adapt well! 1. Begin by preheating the oven to 180°C. Line two muffin trays with cupcake cases (if you only have one then no worries: you’ll just need to bake them in two batches). 2. Pour the milk into a small saucepan with the crushed juniper berries. Heat until it just starts to boil, then immediately remove from the heat and set aside to cool. 3. In a large mixing bowl, beat together the butter and sugar until pale and fluffy. 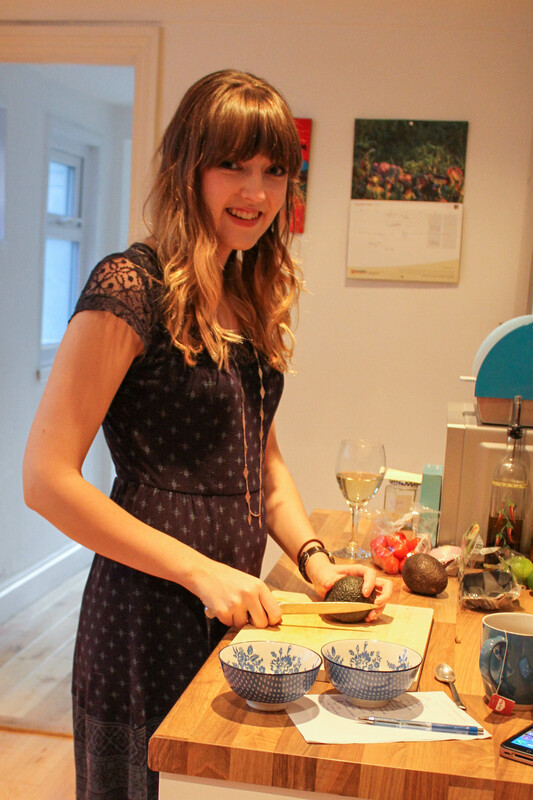 Mix in the eggs, one at a time, then stir in the lemon and lime zest. 4. Gently fold in the flour, stirring until no white streaks remain. Pour in the milk mixture through a sieve to remove the juniper berries, and stir into the mixture. 5. Fill each cupcake case about 2/3 full, then bake for 20-25 minutes, until a knife inserted in the centre comes out clean. 6. While the cakes are baking, make the syrup: put all the ingredients into a small saucepan, and heat gently to dissolve the sugar. Simmer for 5-10 minutes to reduce and thicken, then remove from the heat and sieve to remove the juniper berries. 7. As soon as the cakes come out of the oven, use a cocktail stick to make several little holes in them. Drizzle over the syrup (about 2 tsp per cake), then set aside to cool completely. 8. 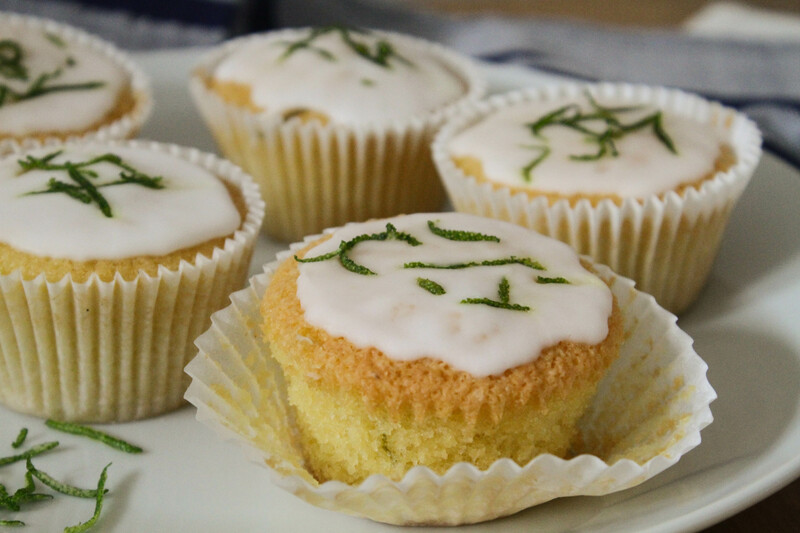 Once the cakes are cool, mix together the icing sugar and gin to make a glaze. If you think it seems a little thick add a drop more gin, or a little more icing sugar if it’s too runny. Spoon a small amount of the glaze onto each cake, using the back of the spoon to help spread it evenly. Sprinkle with the lime zest to finish. Interested in learning more about gin? Check out my review of the Gin Festival, Cambridge 2016. Fabulous cakes thank you so much!